Attorney-General Senator George Brandis speaking to the media at Parliament House in Canberra. BLOGGERS are unlikely to be covered by provisions protecting journalists in the govenment’s controversial metadata retention bill. 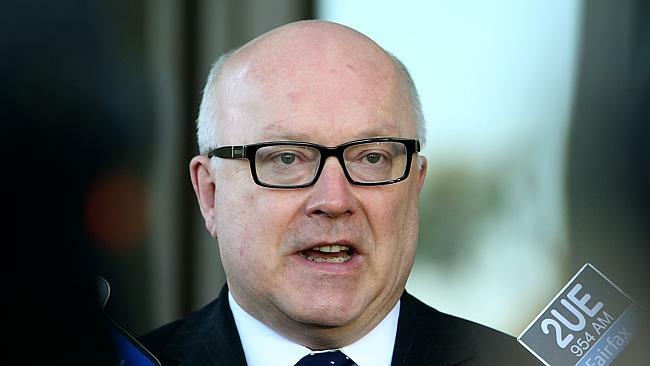 Attorney-General George Brandis said the measures would be introduced to the House of Representatives today. Prime Minister Tony Abbott yesterday agreed to amend the laws to ensure journalists be better protected under the bill amid fears investigative journalism would be stifled. A further amendment will be moved requiring law enforcement agencies to obtain a warrant to access journalists’ metadata to identify a source. But Senator Brandis said bloggers would not be covered by the provisions. “I wouldn’t regard bloggers as journalists,” Senator Brandis told ABC radio. “A journalist is for the purposes of this law a person engaged in the profession of journalism. ← How To Conquer the Ebola Virus Naturally in 10 Simple Steps.